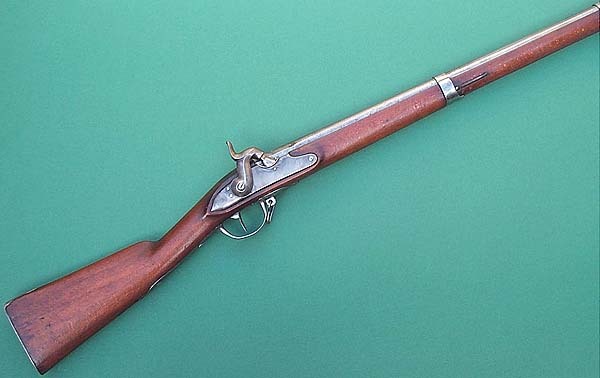 Rifle of infantry M 1842 UM. Rod of drowning with iron end. Inspection marks “G” spangled of the controller Guichard de Saint Etienne. Lock to percussion with the hammer M 1842. 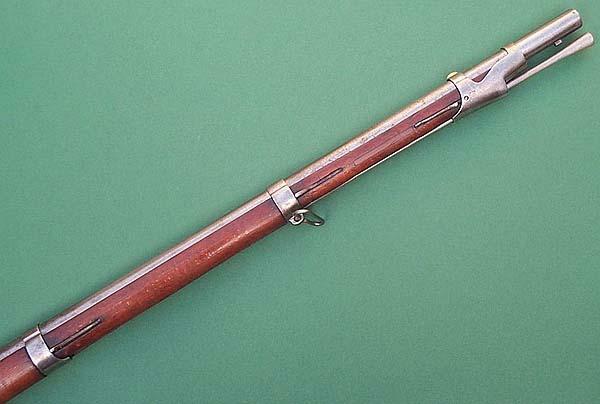 On the barrel on the left the identification of the manufacturer is “G. HULLER”. On the back plate one can read the reference of the regiment “2.R.4.67” (2. Regiment of infantry, 4. Company, arms N°67). 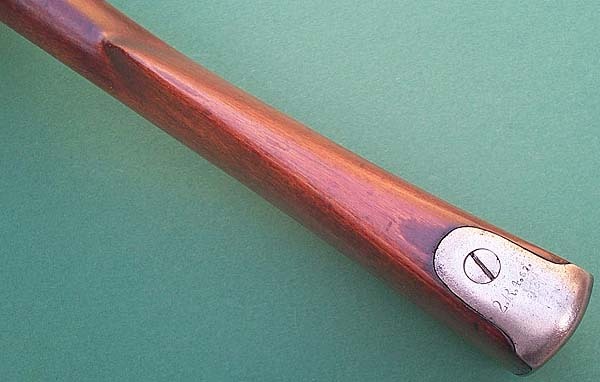 The gauge is 18mm and the overall length 126 cm. Thanks to "ARSENAL DE" for the pictures.